January in Indiana often brings a flurry of snow predictions…and occasionally some actual snow! 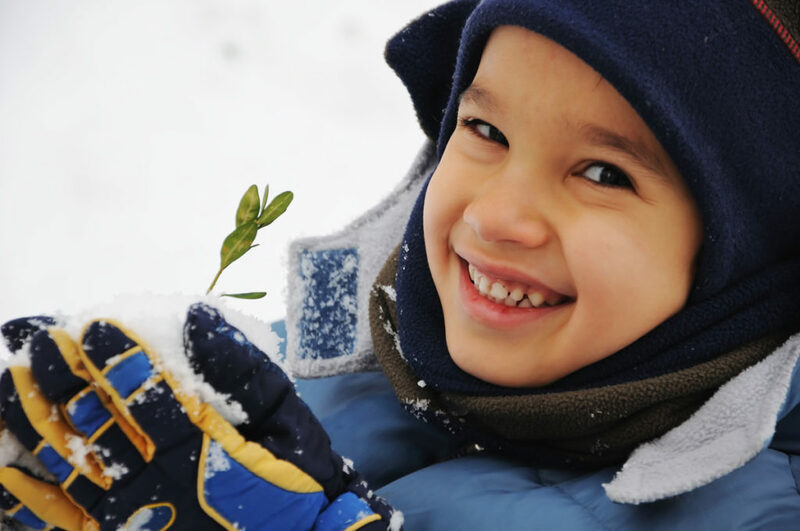 If you wake up to a winter wonderland, and the kids are anxious to go out for some chilly adventures, take advantage of the fluffy precipitation with these fun snow activities. A fresh new cover of snow can act as the perfect canvas for some colorful artwork. Take a few spray bottles or squeeze bottles and fill them with water and a few drops of food coloring. You can repurpose old water bottles with a sports top if you have some around. Use the water to write names, draw pictures, and more. Why limit the snow building to snowmen? Snow animals and sculptures of any kind are possible with nice, packable snow. You can even use your snow paints (above) to add special details. Let your child pick his or her favorite animal, and get started! Dig out last summer’s containers of soap bubbles, and sit them in the snow for a bit. Once they’re nice and chilly, it’s time to experience a little bit of magic. Depending on the temperature, when you use the little wand to blow your bubbles, they may form beautiful ice crystals! This is a great way to incorporate a little science experimentation. Test the bubbles on very cold and not so cold days to see what changes occur. If you don’t have any bubble solution handy, you can mix some yourself by using 1 cup water, 2 tbs corn syrup, and 4 tbs dish soap. Kids of all ages love to sled, but sometimes a conventional sleds can be expensive or unavailable. Get creative, and improvise using such things as old cardboard, trash bags, and some duct tape. Your little ones will enjoy the building activity and the trip down the slope. Gather up a few random kitchen containers and head out the door. You can use tupperware, cake pans, cups, and much more to form nice snow bricks for building. With a little patience and some elbow grease, you’ll have a frozen structure up in no time. Many of our avian friends fly south for the winter, but if you sprinkle bread or cracker crumbs on the fresh snow surface you may attract a few of the heartier varieties to your feast. If you position your bird buffet near a window, the kids can watch any activity from inside while they stay warm and toasty. After all the excitement of being out in the cold everyone will be ready for a hot treat to warm their little hands and bellies. This recipe makes a big, rich batch of hot cocoa that will last you through the season. To make it extra special, don’t forget the marshmallows! Mix above in a large bowl and store in an airtight container. When you’re ready for a warm cup of cocoa fill a mug nearly halfway with mix and add hot water.